This “little” project actually took a lot of time to put together and the end result is the culmination of a great deal of student effort. 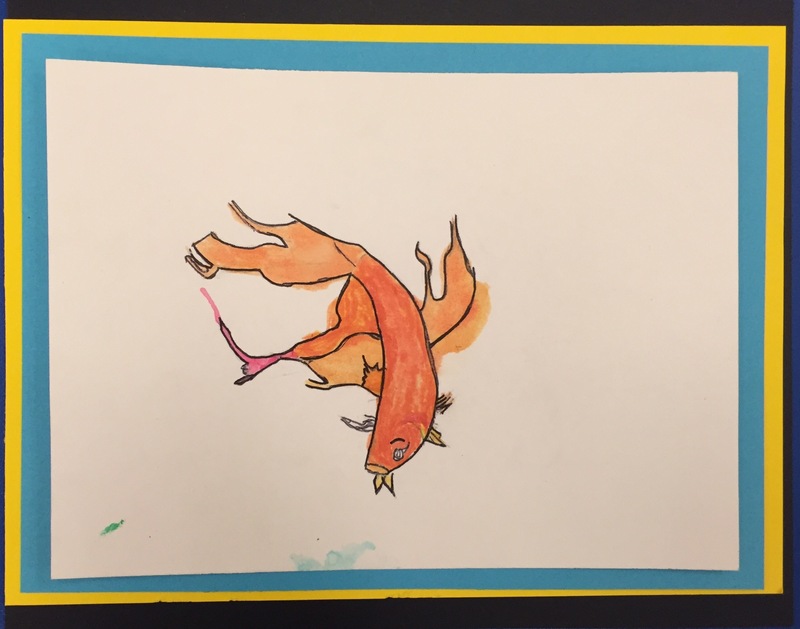 The final project brings together a unit’s worth of study in science and art. We started building French vocabulary in September with a science PWIM. This really is one of my favourite ways, especially in immersion, to help students build subject-specific vocabulary. It gives them a purpose for learning new vocabulary and provides an entry point for every child. Through out the unit we referred back to our board. I chose Abby Diamond as an artist study simply because she is an artist whose work I admire and whose techniques work on many levels. 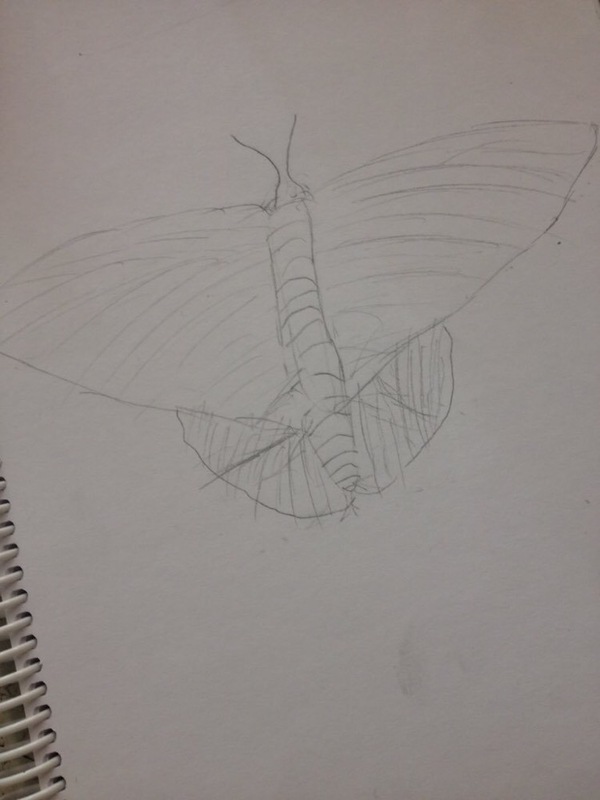 Her work appears simple but is actually technically difficult. 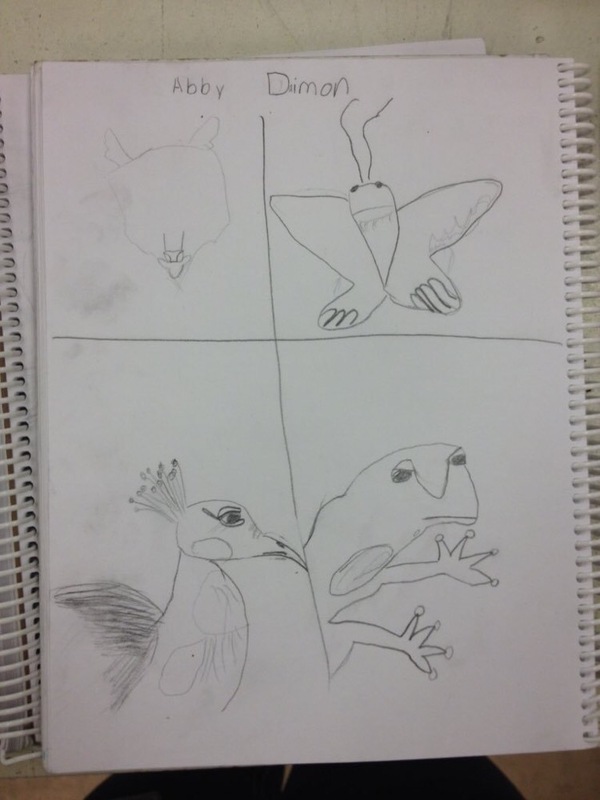 The art portion of our work started with two-minute sketches where each student was invited to look for the shapes within an animal photograph and to spend only two minutes sketching it. This work was personal. I told students that they would not be required to share with anyone. While I believe that feedback makes work better, I also believe that it’s important to have time to create without the pressure of sharing that work. Sometimes we need the freedom to just create for ourselves. 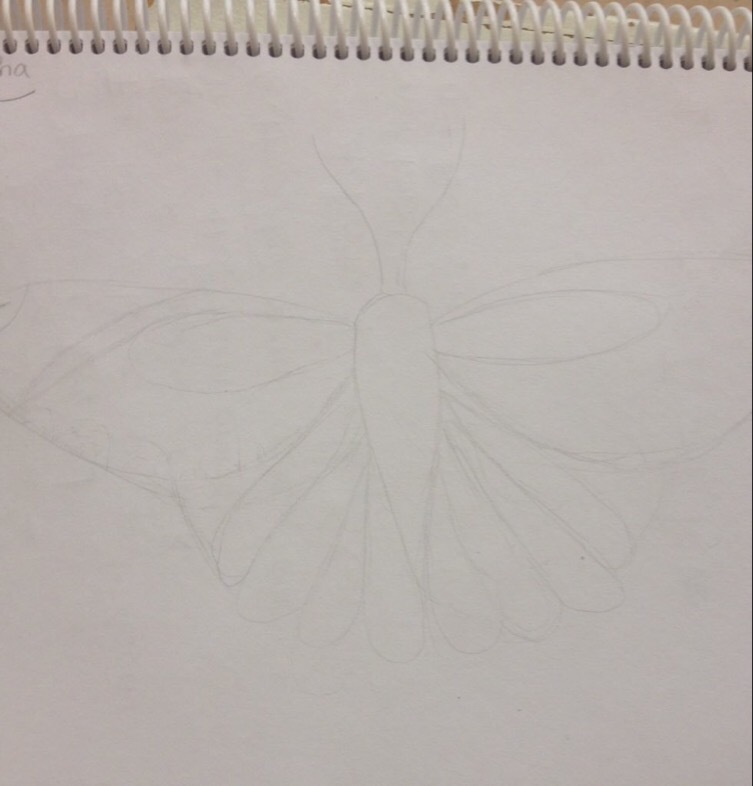 The work pictured below is shared with student permission. 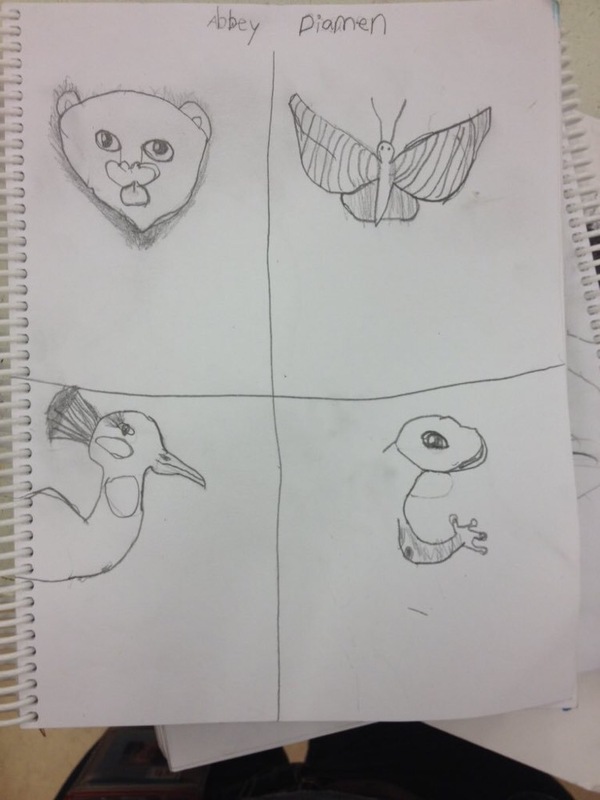 After two-minute sketches, we did a five minute sketch of one animal followed by a viewing of Austin’s Butterfly and a discussion about how to provide specific, actionable feedback in the form of two stars and a wish. 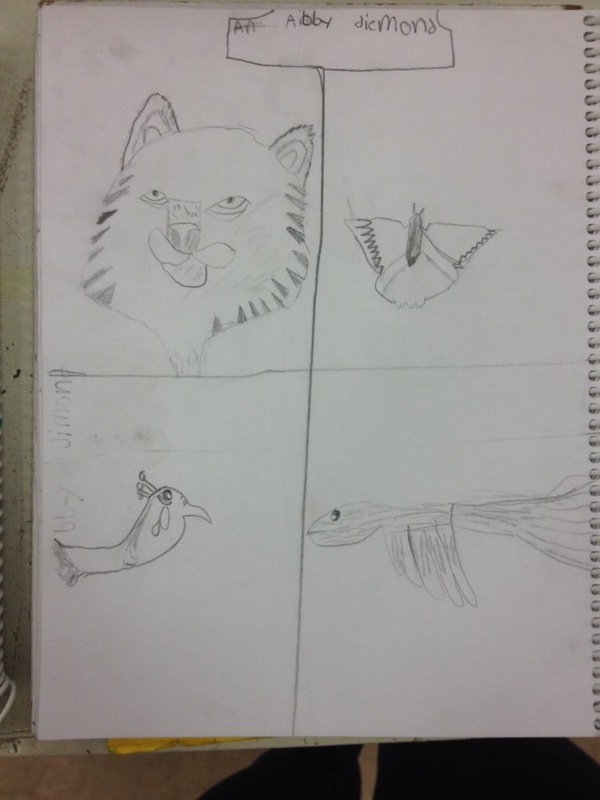 Students created two drafts of the same animal. 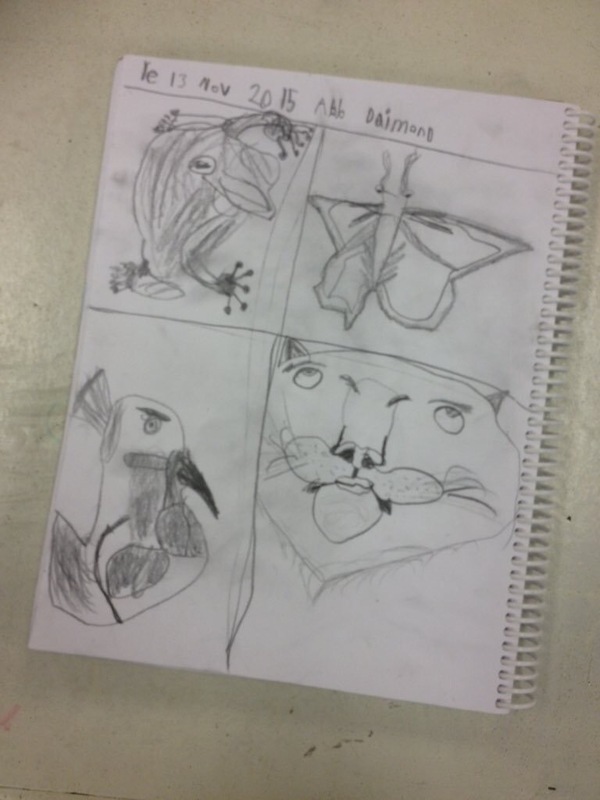 We spent a great deal of time with CPAWS and at Bow Habitat station discussing animal needs, where our chosen animal might fall on the endangered list and how we might help improve the security of our chosen animal. 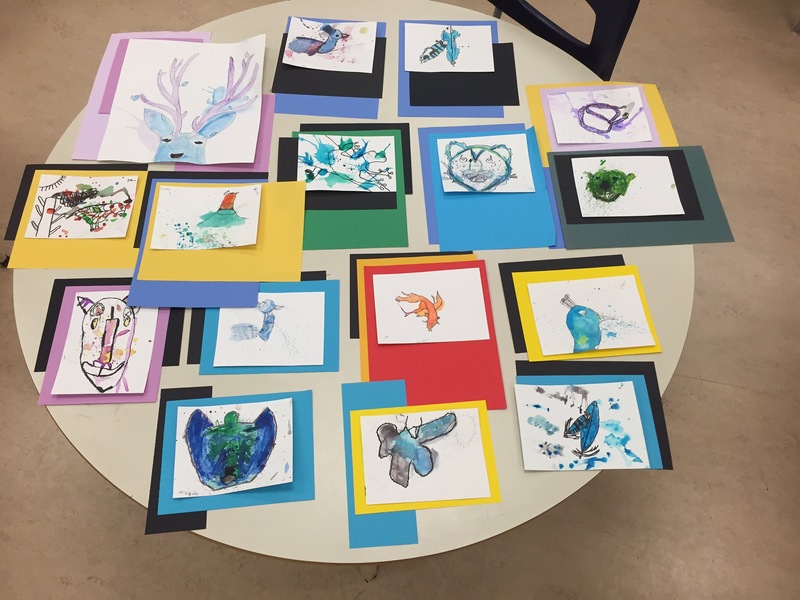 Students then engaged in further study of Abby Diamond’s use of colour and colour theory and and watercolour techniques and, after creating multiple drafts of their drawings, they painted. The paintings were finally inked. 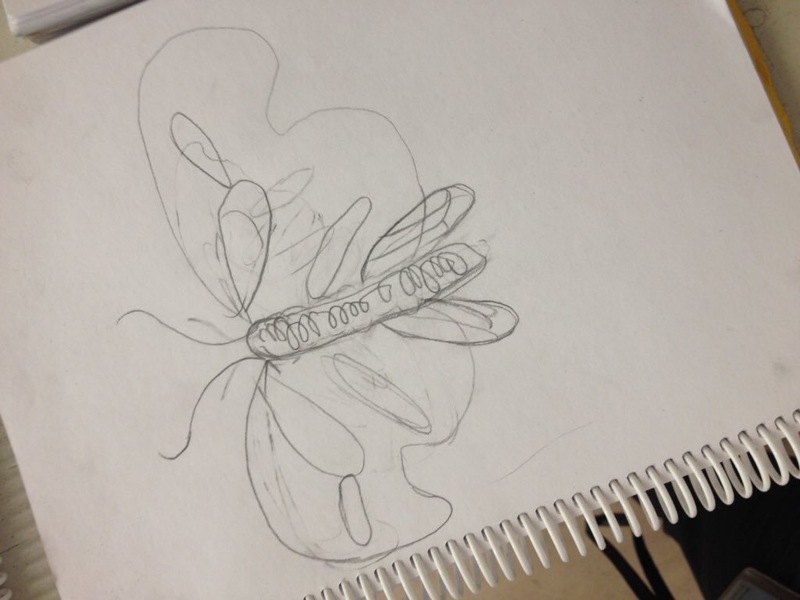 After inking, students reflected on their work and recorded a video in the studio. On a personal note, the studio is a work in progress in my classroom. I think this is an excellent way to get students talking and creating in a second language but there is always a balance between the need for teacher supervision and the need for students to record in a quiet place. 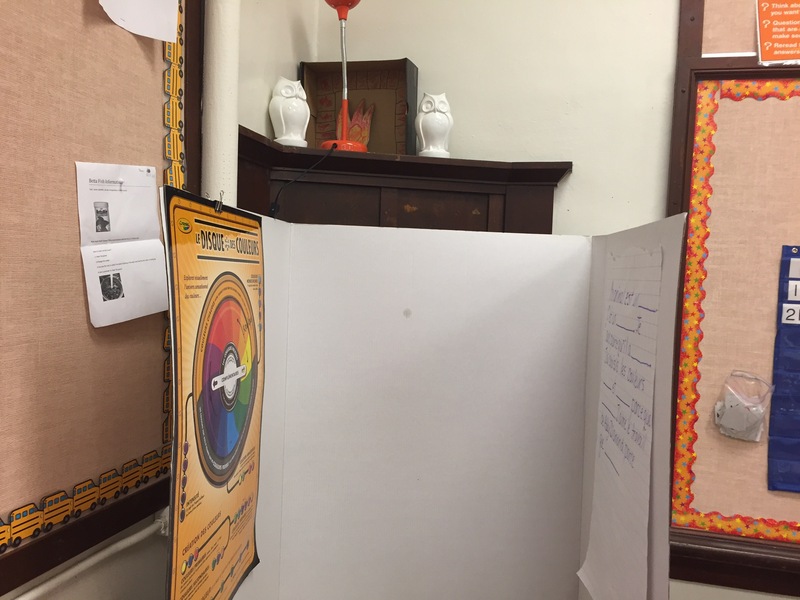 We have a pop-up studio that is simply a trifold where students post the materials they need to record. In as much as possible, this work is managed by students. They do the final recording, write the final script and help each other with negotiation of meaning in the second language. I have been enormously impressed with student willingness to create multiple drafts. They watch themselves on video and resize they have missed information or want to improve pronunciation or fluidity and they have another go. 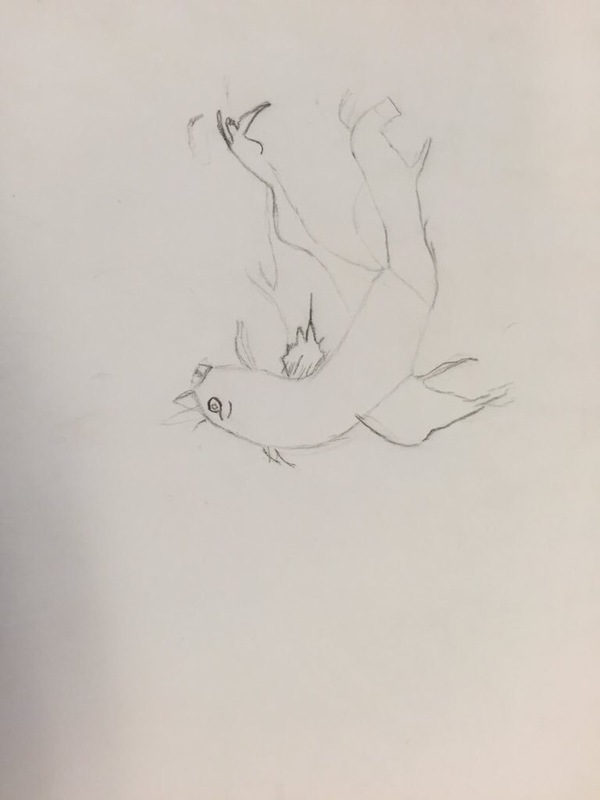 For the purposes of this project, I took the video off the iPad and put video together with image using the desktop computer for the sake of time. The process took me about an hour to upload. 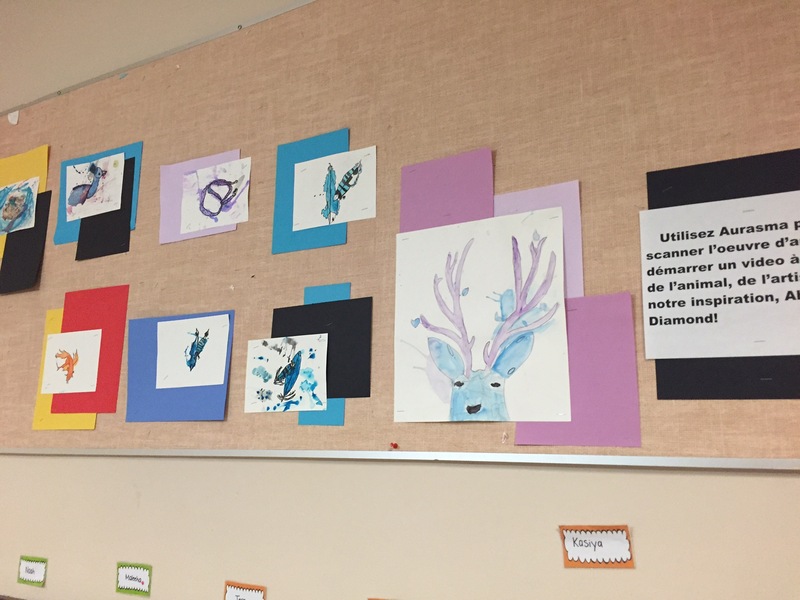 The final product is a bulletin board that is scannable. 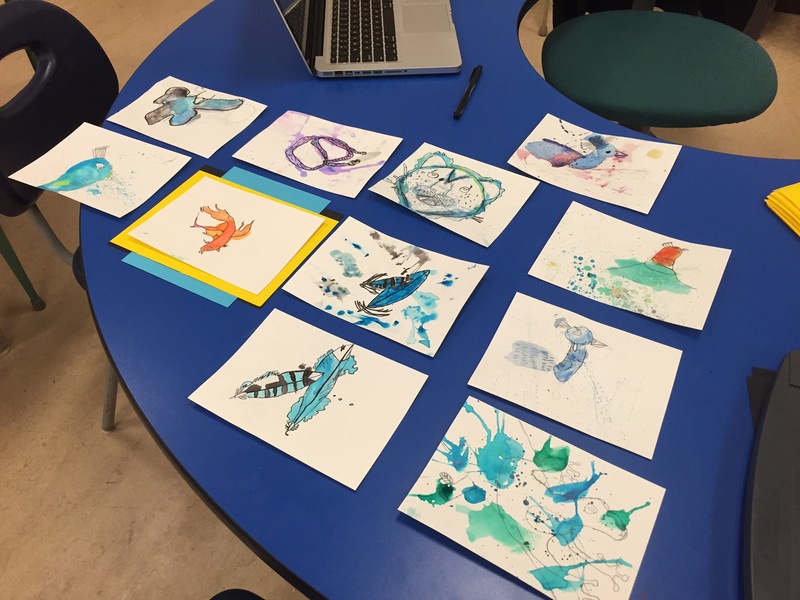 Using a school iPad, students can scan the art work in the hallway and start a video, extending the learning beyond our four walls. My goal is to have students create individual tags that will be laid over the art to create feedback loops for learners who will be able to scan and hear the feedback from their peers. Lessons from this project: students ended up filming one another with screen rotation locked so all of our videos ended up being upside down and had to be fixed in post production. The technical aspects of video production need to serve the learning outcomes and I’m certain this is an aspect students will now check before filming! Thanks to @boyerclay and @mrsmaley for coming to our rescue on Twitter when I couldn’t resolve it on my own 😉 My PLN totally rocks!